You’ve spent days applying and sent in what feels like a thousand resumes. And now you finally have an interview. This is when the nerves start kicking in. What should you say? What should you wear? Do you know anything about the industry? We’re here to help. Review this list of dos and don’ts to ace that next interview! That’s right, we’re back to that old cliché. But, there’s a reason people say it so often. This interview might be your only chance to make a lasting impression on a potential employer. You never get a second first impression. And if you do get the job, do you want to be seen as a regular employee or a candidate for promotion? Hopefully the latter. So dress like it! Take a shower that morning. Try to avoid any strong-smelling colognes, perfumes, body washes, or deodorants. You don’t want anything to distract the interviewer from why you’re right for the job! How’s your handshake? Everything goes back to making that immediate, lasting impression. If you give a puny handshake, you seem weak. If you give an overly strong handshake, you come off as aggressive. It’s getting to that happy medium that’s difficult. The same thing applies to eye contact. You don’t want to stare into the interviewer’s eyes for a straight hour, but also don’t want stare at a corner of the room or look out the window. Be attentive and go for a balance between the two extremes. How can you practice your handshake or eye contact? And, for that matter, how do you know if you have a good handshake? Join a local professional group! Ask other members to practice interview techniques with you. These groups exist to help people master the fine art of business etiquette. Even if the organiztion you’re interviewing with doesn’t have a traditional office setting, these groups can teach lessons applicable to all workplaces. Mock interviews are especially helpful to highlight any flaws in your technique. The the first thing you should do after scheduling an interview is research the company’s history, values, and culture. You want to make sure you fit in—and mentioning the company’s mission statement and how that applies to you is always a good start. The job and potential future responsibilities. The work environment and culture. For example, asking the interviewer why they like working at the company shows you’re interested in the people and culture, not just climbing the company ladder. Follow-ups matter. Start writing a handwritten thank-you note immediately when you get home. Bring up a few things you learned in the interview, and send it off as soon as possible. When the applicant pool for a certain job is especially competitive, this helps you stand out. If you’re unable to send out a handwritten note, send a personalized email. Remember that whole bit about leaving a good first impression? If you’re late to the interview, you’ve already shot yourself in the foot. 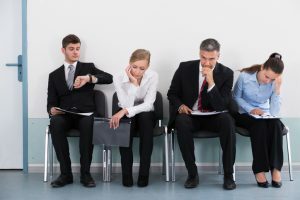 In the interviewer’s eyes, if an applicant can’t make it to the interview on time, they simply don’t want the job enough. Be early. 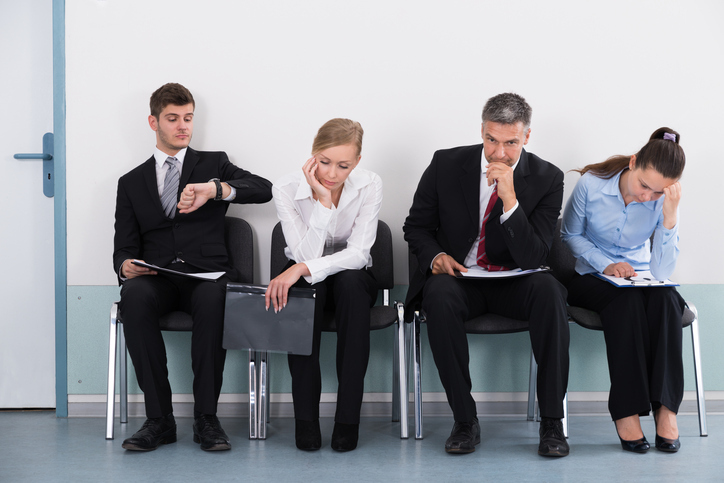 It’s much better for you, as an applicant, to wait on the interviewer, rather than the other way around. Just don’t arrive too early—ten minutes or so should be fine. Interviews can be nerve-wracking, and some applicants find themselves rambling just to move the discussion along. If you take up your interviewer’s time with long descriptions of achievements, you’re preventing the interviewer from asking questions they want to ask. But don’t make your responses too short either. Remember, it’s all about balance. Avoid giving one word (or, in some cases, one sentence, answers). When asked about what it was like working at “such-and-such” company, don’t respond with “great.” Your response should be about what you learned from working at a specific company with its own culture, values, and people. This can be tempting—especially if you were fired or let go from a previous position. Who wouldn’t want to vent about their awful boss when someone specifically asks about their time at that company? However, complaining about anyone in an interview is the hallmark of an unprofessional employee. So come prepared to answer a question specifically addressing past negative experiences. Interviews are about showing the interviewer why you’re a perfect fit for the job. They are not a place to discuss religion, politics, and other hot-button topics. No matter how informal the style of the interview, it’s still an interview. Most industries are fairly closely knit. Odds are the interviewer knows somebody who knows somebody else that is a best friend of a previous boss. So, don’t lie. Even if your industry isn’t closely knit, lying always comes back to bite you. In the end, you can only do so much preparation. When you’re ready, you’re ready. After that, it’s all about balance and confidence. Walk in with your head held high and knock that interview out of the park! Have you ever had a bad interview experience? What did you learn? Let us know in the comments below! The interview is going great—you ace every question, have a great rapport with the interviewer, and are pretty much perfect for the job. But then, your prospective employer asks about your last position and why you weren’t there very long. Memories of a company shakeup and a newly minted (but hardly qualified) boss showing you the door flash through your mind. Yeah, you were fired. But does the interviewer really need to know that? The answer is yes. If you lie, it’s going to come up eventually. They might ask for a reference. Or that lie could lead to six or seven more. And that’s not how you want to start a new job. Now that you know you have to tell your interviewer you were fired, how do you go about doing that? You were fired. It happens. The first step of telling any future interviewer you were fired is accepting it yourself. Being able to view that event objectively, not subjectively. Realize that, in all likelihood, nobody was out to get you. Whether it was a mismatch of personalities that led to a less than stellar workplace environment or the simple fact that you didn’t yet have the skills for the job. Regardless of reason, the important thing is that you’re okay with it. You don’t want to go into interviews complaining about how terrible your boss was or how nobody liked you. That makes you look like a drama-prone employee. Plus, if you complain about your last boss, how does your interviewer know you won’t end up whining about them in the future? Settle your emotions so that you can talk calmly about your firing without all of that emotional baggage. Most interviewers don’t want to hear complaints about your previous boss. They want to hear about how the firing affected you as an employee. Which means you should focus on what you learned from the event. Make sure to portray yourself in a positive light. If you were fired for your workplace behavior, you should have made changes. Maybe you learned that the company culture wasn’t for you, or you weren’t right for the night shift. Just make sure that you learned something, and that you’re a stronger job candidate because of it. Turn your firing into a good thing, something that highlights newfound strengths. Be confident and honest. Those are qualities most everyone can agree are great to have in a candidate. Interviewers know acknowledging you were fired isn’t easy. But doing so demonstrates your character. So just tell them. Let them know what you learned, how you’re a better employee, and avoid mentioning anything negative about your previous boss. The thing is, the person who’s sitting in front of the interviewer now isn’t the same you who was fired from your previous job. You’re different. You’ve learned things. Show your potential employer that. Have you ever had to tell an interviewer you were fired? How did it go? Let us know in the comments below!